Lauren Ramey is a teacher, pianist, and conductor based in Nashville, TN. 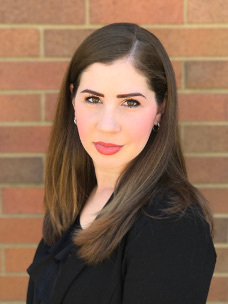 She is the director of choral activities and AP music theory at Ravenwood High School, where she conducts the Chamber Choir, Treble Chorale, Choraliers, Tenor/Bass Choir, and Rhapsody A Cappella. In 2017, Lauren was appointed assistant conductor of the Nashville Symphony Chorus. She is also the High School Repertoire and Resource Coordinator for TNACDA. Her choirs consistently receive superior ratings in both sight-reading and performance at regional and state choral festivals. The Chamber Choir was selected to perform as a Spotlight Ensemble at the 2017 Tennessee Music Educators Association Conference. The Ravenwood Choirs have performed Handel’s Messiah at Lincoln Center and most recently, at Carnegie Hall under the direction of Eric Whitacre. A native of Dayton, Ohio, Ramey received a Bachelor of Music in piano performance and a Master of Choral Education from the Blair School of Music at Vanderbilt University. She has conducted choirs and orchestras throughout the United States and Romania. Lauren lives in Nashville with her husband, Clark, and their daughter, Jensen.